Each year the trials team at Mr Fothergill’s organizes fun growing competitions for the staff to have go at. This year volunteers could grow the tallest sunflower or the heaviest pumpkin. 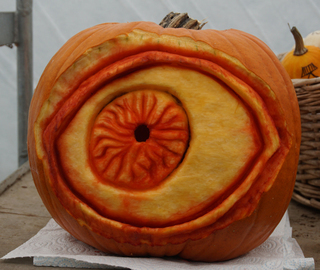 The ones with artistic flair could grab any pumpkin from the field and carve it for Halloween display. The tallest Sunflower reached 3.06m high and was grown by Lisa from the IT department. She not only watered them every day, but also gave them names, talked to them and sung from time to time. 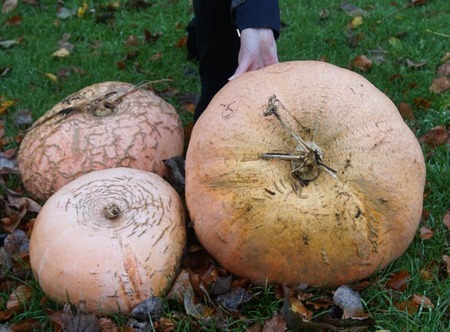 12 people took the challenge to grow the heaviest pumpkin. Rachel from our trials team won the competition with a pumpkin weight of 24.3kg. Production director Jeremy gained 2nd place with a 19.5kg fruit and mail order manager Paul was just behind him with 18.7kg. 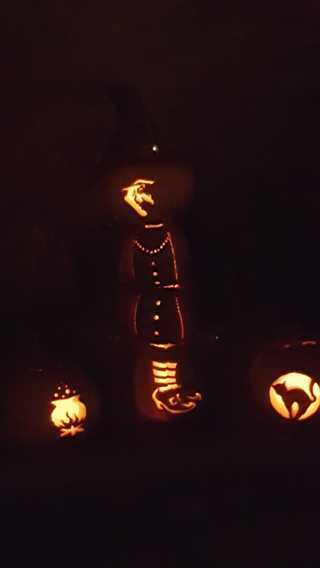 At Mr Fothergill’s the growing season ended with the pumpkin harvest and carving competition this year. Eight judges scored six amazing entries. Gladys the Witch created by Carol, Lindsay and Hannah was the judges’ favourite, followed by an eye ball carved with attention to detail by Suzi. Joint third place went to Colin’s Polar Bear Mafia and Jeremy’s Little Boo. All participating employees put much effort and creativity to create a stunning Halloween display. Sunflower Giant Single costs £1.40 for 75 seeds, Pumpkin Atlantic Giant priced £3.05 for 10 seeds. Mr Fothergill’s has a wide range of pumpkins and squashes that will look great on Autumn displays, many of them having amazing flavours when cooked. They are available from Mr Fothergill’s retail stockists throughout the UK and from the company’s latest Seed Catalogue or online. Visit your local garden centre for the full range or head over to www.mr-fothergills.co.uk.